They’re all Newbery winners or honor books, because I’m doubling-up for these with the Newbery Reading Challenge. 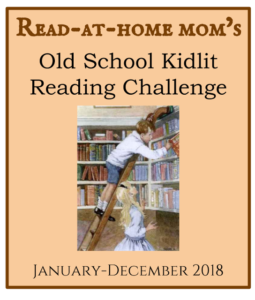 Glad to have you on board for the Old School Kidlit Reading Challenge! I see a few of my favorites on your list (Roller Skates, Ginger Pye, The Egypt Game, The Slave Dancer) – I hope you enjoy them!